After graduating from Vassar College with a B.A. in Art History, Hildreth worked in New York and went to night school at the Art Students League and the National Academy of Art. Hildreth then moved to Maine where she continued her studies in studio art and graduated from the Maine College of Art in 1976. She taught for a number of years as a non-resident instructor at the Maine College of Art, Vermont College and Lesley University. Since that time Hildreth has had several studios in Portland and is now located at the Bakery Studios at 61 Pleasant Street. 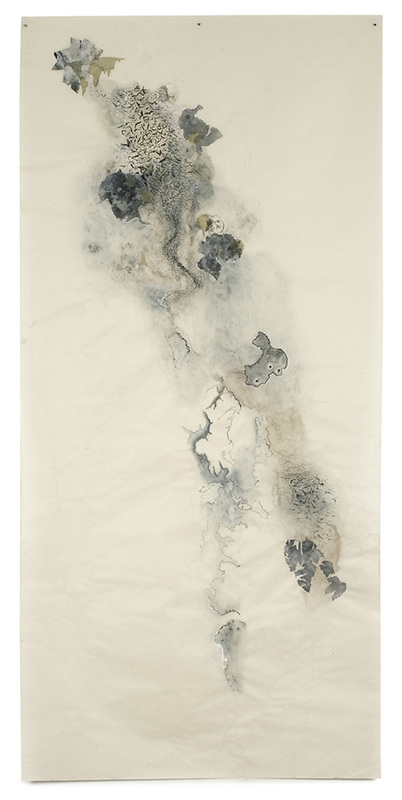 Her practice includes mixed media drawing, painting, printmaking, and installation work. Her work is included in numerous collections and has been featured in exhibitions nationally and internationally. We have a very special evening planned for Thursday the 15th from 6-8pm and we hope you can make it. Alison Hildreth will be in conversation with Katarina Weslien and Sean Foley here at SPEEDWELL. Light refreshments will be served. Alison Hildreth: Flight is on view at SPEEDWELL through November 30th.